Hi, welcome to the HDroid website. In this article I will show you what are the best Android Launchers available today and a small selection that you might found useful to personalize your smartphone and transform it in a new product, with your personal styles preferences. Before starting, it’s necessary to say that the most important thing about a launcher is the personalization level that it can guarantee. A lot of users installs launchers and a lot of unuseful applications because they heard that they are the best available at the moment. No. What you need to download is only what you like and prefer, styling is a sort of art and even if we want to personalize a phone, we need to do it with style, our personal style. Now, start with the selection. We selected a lot of launcher (6 for the moment), but these launchers are the best in places for styles, personalization level, and much more. Although Nova launcher will sound you a sort of old know launcher, yeah you are right, but not all people knows the possibilities that this launcher has to offer. Speed, simplicity, creativity and Smart gesture. All this functions are sometimes what users ask for and we think that Nova is the number one of all the launchers in the play store available at the moment. The best thing about this launcher is that is fully customizable in every single point of view. Just think that if you want to change icons, drawer colour, styles, text font or you just want to have a simple launcher that is always ready to be customized. 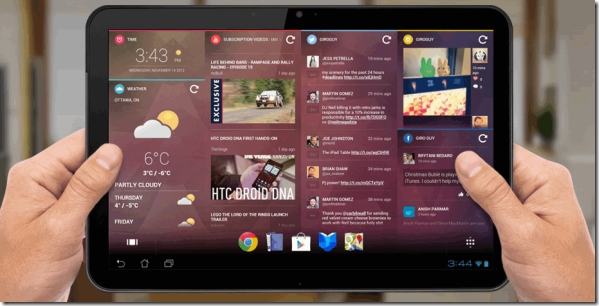 Nova launcher is what you are searching for on this post. Nova launcher is blazing fast on every Android phone but to enjoy a lot of additional functions we recommend to buy the Nova Launcher Prime version that can enhance users experiences improving personalization level. Google Now Launcher is a simple app, it is not the best customizable launcher that you can find but it’s simple, speed, and if you like Android stock launcher on Nexus Devices this is a launcher for you. Google’s launchers improves the integration with Google Now that is always accessible with a simple swipe on the home screen. A lot of launchers are based on this application, Google is in the second position on our selection. Available on all devices with Android 4.1 (Jelly Bean) or higher. • Swipe right from your Home screen to see Google Now cards that bring you just the right information, at just the right time. • Quick access to Search from every Home screen. • Say “Ok Google” to search with your voice, or tell your phone what to do: send a text message, get directions, play a song, and much more. Apex was the direct competitor of Nova Launcher, but now Apex has reached a lower position because of update frequency that can’t rival the TeslaCoil team and the launcher looks like an older version of Nova but we know that this remain one of the best launcher for Android devices because is customizable and much more faster than some other launchers. This app unlocks premium features in Apex Launcher. You must have the latest version of Apex Launcher (free) installed on your device. This app just acts as a license key to unlock the pro features. If you think to have already tested all the strange launchers on the play store, you need to try Launcher Z, one of the most simplest applications for smartphones that try to change launcher standards offering a new method to find and organize all the apps. Simple, speed and strange is the key to the success, give a try to Z launcher and fell free to express your impressions inside the comments box. From Nokia, a re-imagined way to use your Android. Adapts to you. Launches anything in one second. Throughout the day, Nokia Z Launcher is learning how you use your phone and promoting your favorite apps so you can get to them faster. The more you use it, the better it gets. Thank you for trying out Z Launcher Beta and providing your very helpful feedback. Since our original 1.0.0-Beta release on Nov 18, we have made lots of improvements based on your feedback. Our latest update continues this trend with addition of our most highly requested feature in recent months: support for standard Android widgets. We hope you like it! CM Launcher is a new app on the Play Store. This launcher provides a lot of features, like protection and optimization for your Smartphone reducing Ram usage and also memory because this app weights only 3MB. Increase your startup speed by 100% and boost phone performance! The safest launcher in the world! SMALL – Just 3MB, CM Launcher dramatically improves your device while being the most lightweight launcher in the world. SLEEK – Accelerate your startup speed by 100%! Make your apps load quicker, search the net with speed, and make full use of the capabilities of your phone with no dead weight. SECURE – Includes the world’s #1 antivirus engine, which protects your personal info and app data, as well as blocking viruses and malware. 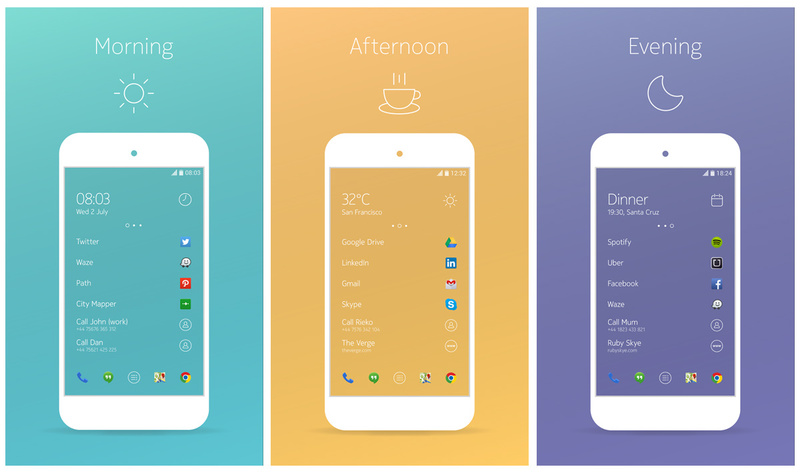 Smart Launcher bring really smart features in a simple launcher for everyday use. Some user may think that this is not a top launcher because is very different from the standard of Android’s launcher. But simplicity sometimes is synonimous of interesting and this app is definitely one of the best launchers, working also on older phones without any problem. The Google Play Store teems of an hight number of Android Launchers, every launcher is unique and to find the best for you, you’ll need to give a try to some of the best launchers. Our advice is to find a speed and lightweight launcher that is customizable according to your tastes. Only for Now we decided to stop our selection with only the first six smartphones launchers (otherwise it would be useless). We hope it will be useful for you. Next articleSurvey: Which Smartphone would you like to buy this Christmas?